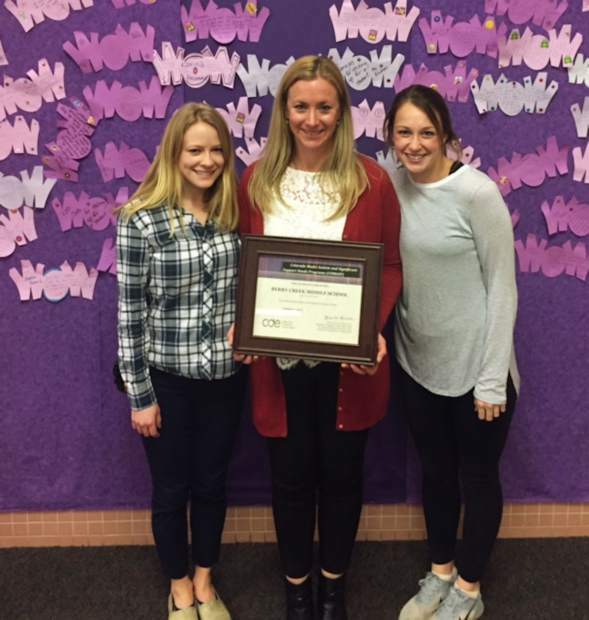 Berry Creek Middle School became Colorado's only middle school to earn the distinction as a Colorado Model Autism and Significant Support Needs program. EDWARDS — A local middle school became the only one in Colorado to be named a model site for significant needs students. Berry Creek Middle School’s Significant Support Needs program earned the designation as a model site, the state’s only middle school to be named a Colorado Model Autism and Significant Support Needs program. It’s for students who have significant support needs, explained Berry Creek Principal Amy Vanwel. Berry Creek’s program was awarded the distinction by the Department of Education. Teacher Nicole Barth leads the team, with paraprofessionals Abby Taylor, Stephanie Chamberlain and Marriana Gabriel. Berry Creek’s distinction creates a continuum of model programs from June Creek through Battle Mountain High School. The biggest aspect is the inclusion of the students in the general setting. To help that along, Barth teaches a peer mentoring group, which helps Berry Creek students tend to be welcoming to Significant Support Needs students, Vanwel said. “It’s a great idea, but there’s a lot to making this successful, beginning with teacher training, resource support and a student body that understands how they can be helpful,” Vanwel said. Collaboration and instruction help the students reach high levels. “The students are also encouraged to believe they can reach these high goals, and never give up on it,” Vanwel said. Right now, Berry Creek has five significant needs students. They’ve had as many as nine. The school district’s transition program provides services until the student turns 21 years old. The school district also runs an extended school year, so they have services for part of the summer, as well.